South Korea ranks at one of the highest suicide rates in the industrialized world, and even held the number one place for 8 consecutive years up until 2014. Currently it places at the second-highest suicide rate in the developed world. Due to it’s strong relevance in South Korean society, it’s no surprise that suicide is constantly referenced in media such as K-dramas. It’s not uncommon to see the bullied or ostracized character that attempts to or commits suicide, and serve as a catalyst to the plot line. What might be odd, though, is how casually they’re added to romantic and some comedic dramas, and then brushed away immediately to focus on the protagonist. How has suicide been utilized throughout the years in K-dramas, and how have they adapted to changing times. 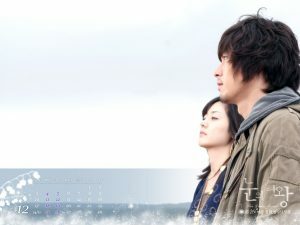 In the 2006 K-drama The Snow Queen, after losing in a math championship, a character commits suicide due to the shame of having disappointed his father. His best friend, who wins, is filled with so much guilt that he completely abandons his academic life to become a boxer. The traumatizing incident changes and develops the main character, and we see this as the most common use of suicide for K-dramas to follow. In 2009, the popular and iconic drama, Boys Over Flowers, features a student ready to jump off a building due to a harsh amount of bullying. The protagonist, Geum Jan Di (Ku Hye-sun), tackles him before he jumps off, and consequently earns a scholarship to that prestigious school for her heroic act. The suicidal character is never seen again, and only referenced when his brother attempts to enact revenge against the popular boys who sparked the bullying. The brother is ultimately seen as the villain and there isn’t any sort of closure or follow up with the original suicidal character. Both dramas from this period never develop or elaborate upon the suicidal characters. They’re merely used as a catalyst for the protagonist’s story. Without those characters, though, Han Tae-woong (Hyun Bin) would have never had become a chauffeur for his friend’s sister. Had they both not have been in such a vulnerable state following friend’s death, they would have never have been able to rely on each other emotionally and fallen in love. Similarly, Jan Di wouldn’t have been able to afford an expensive school and met the all-powerful F4 only to fall in love with their leader. Despite the fact that these four are the cause of despair for the suicidal character, the audience is expected to forgive this as Jan Di’s friendship helps them mature and become kinder people. Park Soo-Ha (Lee Jong-Suk) from the 2013 K-drama I Can Hear Your Voice, physically stops his peer from throwing herself into a subway track. With his mind-reading abilities, he saw that she was depressed after she discovered she may go to prison for a crime she did not commit. Due to this, he follows her to the subway and could read her thoughts as she contemplated ending her life. Otherwise, it’s implied, he wouldn’t had known about her inner turmoil. In 2014 Pinnochio, a mother not only commits suicide but tries to kill her son when she throws herself off a cliff. After being ostracized by her town, and no longer able to feed her children, she believes there’s no other solution. The murder-suicide prompts one son to grow up and look for vengeance only to become a murderer. While the other son, the one she attempted to kill, decides to change his name and live a new life. The student’s attempted suicide in the I Can Hear Your Voice was just a side-story and not addressed again. After she’s found to be innocent in court, she never deals with her feelings and her character goes on happily for the rest of the season. If anything the incident was only used to established both her friendship and unrequited love for the protagonist. In Pinocchio, the suicide is used to shape each brothers’ personality and show how differently they addressed their mother’s suicide based on their circumstances. One reacts violently, and seeks out to kill all involved with the initial rumors that tarnished his family’s reputation. He, to an extent, becomes one of the villains in the story. While the other brother, chooses to become a reporter and dedicating himself to promoting truthful news. From these K-dramas, we see that suicide is typically prompted from becoming a isolated and a soiled reputation regardless if it’s true or not. Once again, the events only serve to help develop the protagonist’s character. In contrast to the previous dramas, Pinnochio shows us the wrong and right way to react to an unjustified death. Gi Ha-myeong (Lee Jongsuk) is able to find love, and live respectively because he chose to rely on his skills and new family to succeed as a reporter. While, his brother goes to prison for the rest of his life and is branded as an evil character. This also goes to show that someone’s death can affect people differently, and that most likely Ha-myeong’s supportive family was what help develop his more compassionate personality. In 2017, we see a slightly different angle for depicting suicide in K-Dramas. After traumatic bullying, in Save Me, a character commits suicide. Although a seemingly redundant concept in K-dramas, we also see his classmates and bullies brush off the incident. However, the incident has much darker consequences for the deceased’s family. The mother develops a mental illness and the father devotes himself to a cult in response to their son’s death. The main protagonist, Sang-hwan (Taecyeon), witnessed the bullying and decides not to intervene. Years later, when he sees the sister ask for help again, due his guilt from before he decides to save her from the dangerous cult she is not trapped in. Similarly, in Andante, Shi-kyung’s (Kai) is being pressured by his former classmate to testify to the police as having witnessed his bullying. After being violently attacked himself, and even being nailed inside a coffin, Shi-kyung reacts coldly and decides not to serve as a witness. His classmate has tears in his eyes, and says “I feel like I might die.” Regardless of the obviously suicidal words, the protagonist does not take seriously and suggests he moves on with his life. While cleaning the room of a deceased man, he learns the deceased became ill after fighting to bring justice for his son’s suicide. His son had been bullied, and it’s this moment that the protagonist reflects on the words “I feel like I might die.” He connects the dots, and rushes over to the police station to give his testimony. He then receives a text from his classmate thanking him. Although, we’ve seen suicide prevention before, Jan Di and Soo-Ha both physically stop people from killing themselves. In more recent dramas, we see less obvious signs of suicidal characters. In both Save Me and Andante, two characters are depressed but it’s not clear to the protagonist in either drama that they are also having suicidal thoughts. Andante and Save Me present the trope a bit differently as the character isn’t obviously trying to kill himself. They can only look at the signs– bullying and depression– and try to figure out what could occur. In Andante, the Shi-kyung is only able to determine the possible outcome after hearing about a similar story and reevaluating his classmate’s words. While suicide rates in Korea have actually decreased, it is still a serious concern there. In 2016, the Korean government declared a plan for suicide prevention which included early detection of mental illnesses. Depression and addiction have both been linked to causes of suicide. The poor and elderly are more commonly those who commit the act, but it is also the number one cause of death for young adults. On average viewers of K-dramas are women 30 and above, and most likely this is not a topic that personally affects them but may be relevant with their young relatives. Perhaps due to the shift at the look of suicide and the role mental illness plays in this, we see a change in the way it is handled in K-dramas. Still, they’ve only slightly changed in their depiction of depression and suicide is still used only as a plot device for the main character’s development. The focus on K-dramas is mainly how it effects others, and the guilt and depression it may cause the protagonist thus making them either stronger or weaker characters. The seriousness of suicide and bullying are still looked at simplistically, and only used to move along the story. That’s not to say that K-dramas aren’t changing at all as both dramas from 2017 evoke empathy in the audience for the depressed characters. In Boys Over Flowers and Pinocchio, we see characters attempting to avenge their suicidal family members and end up becoming the antagonists of the story. Now we’re shown characters that must decide if they will take a step to prevent a possibly depressed character from killing themselves. To an extent, K-dramas are changing in way that is encouraging to the audience to step in and be the hero of someone’s life. Hopefully, Korea’s plan will help the public also recognize the signs of depression, and how they can help. As their 5-year plan is enacted, we will also most likely continue to see a change in how suicides are depicted in K-dramas.